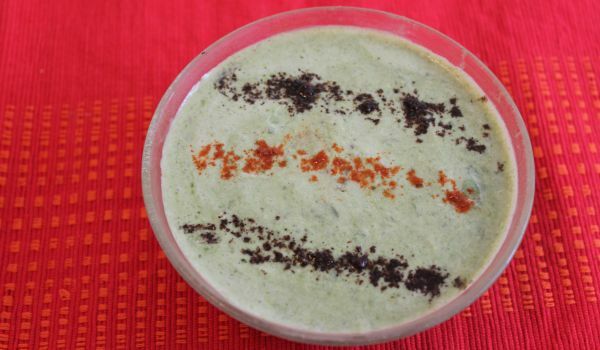 The Bathua Raita is an easy to make and delicious way to include the goodness of greens in your diet. The coarsely ground Bathua leaves are mixed with yogurt and tempered with cumin and chili powder to make this dish. It can serve as an excellent accompaniment with spicy Indian gravies. Stir the curd (Yogurt) with hand mixer (mathani). Add the Bathua paste and blends well. When it becomes thick pour little milk and stir it. Now mix cumin powder, salt and chili powder and mix well. Then keep it in refrigerator for an hour. Serve Bathua raita with parathas, rice etc. Could you pls give me the picture of bathua.